PHILADELPHIA -- A former Pennsylvania congressman seeking to have his corruption conviction thrown out is turning to a recent Supreme Court ruling that other politicians have used to clear their names. 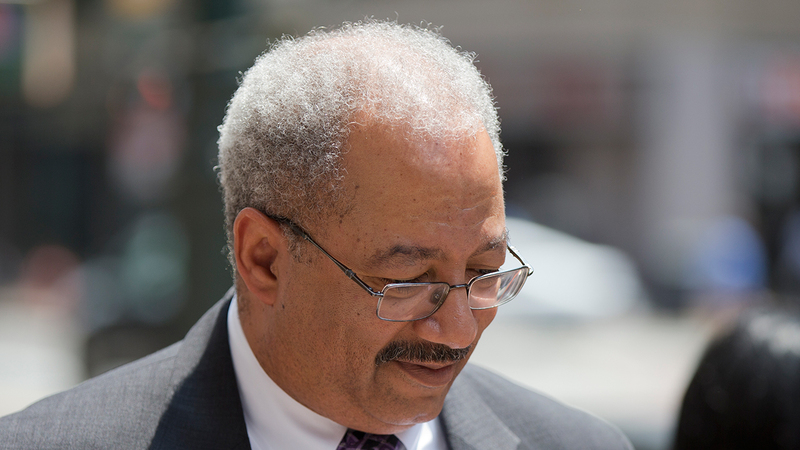 Lawyers for former U.S. Rep. Chaka Fattah filed an appeal Friday arguing prosecutors used too broad a definition of bribery in his case and failed to meet a standard set by a 2016 Supreme Court ruling that narrowed what legally constituted as corruption. Fattah spent 20 years in Congress before a 2016 racketeering conviction resulted in a 10-year prison sentence. Rep. Chaka Fattah was found guilty on all charges in his federal corruption trial on June 21, 2016. The corruption conviction of former New York Assembly Speaker Sheldon Silver was overturned using the same Supreme Court decision cited by Fattah's attorneys. It states an official action must involve formal governmental functions, such as hearings.